Posted by Teresa Mihelic HelpDesk on Tuesday, September 4th, 2012 at 11:47am. With kids going back to school and trying to figure out what everyone's new, regular schedule is, might be hard to plan something fun for this weekend. If you’re looking for a good way to get out and enjoy the weather this weekend, well, look no further! Just head to Dana Point this weekend and you'll find PLENTY to do, for everyone. Say concerts and crowds like that are not for you. 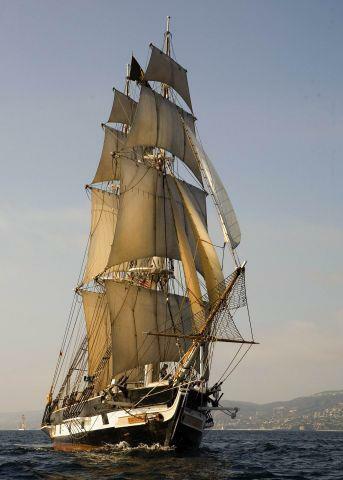 Head to the north end of the Dana Point Harbor - by the Ocean Institute and Baby Beach, and you'll find the Tall Ships Festival (many know it as the "Pirate Festival"- and check out these real working tall ships. Interactive living-history encampments including blacksmiths, scrimshaw artists, and the infamous Port Royal Privateers are sure to entertain and amaze guests - and be sure to visit the Ocean Institute and its ocean wonders. Also, the same weekend, at Salt Creek Beach, there will be the annual Cosmic Creek Surf Contest. The event is full of activities and Billabong is hosting the family-friendly event, which takes people back to the retro movement. Oh, did we mention Donavon Frankenreiter is giving a free concert on Sunday? They’re performing with special guest Band of Frequencies and Dave Rastovich. Last year's concert was a hit - with kids getting on stage, and a beautiful fall sunset setting behind the band. This is -in case you were thinking that because of the great surf you were going to miss the great music at Doheny Days. There's always something for everyone in Dana Point. Are you ready to start looking at homes in Dana Point? If so, give us a call or send us an email and we will be happy to set you up to receive email updates with homes that match your desired criteria. Dana Point : the dream!